You asked for it, we got it…Bungee Fitness has arrived at Bittersweet Studios! Flying high in bungee class! Bungee fitness is here & we are so excited to have this brand new workout at our studio! 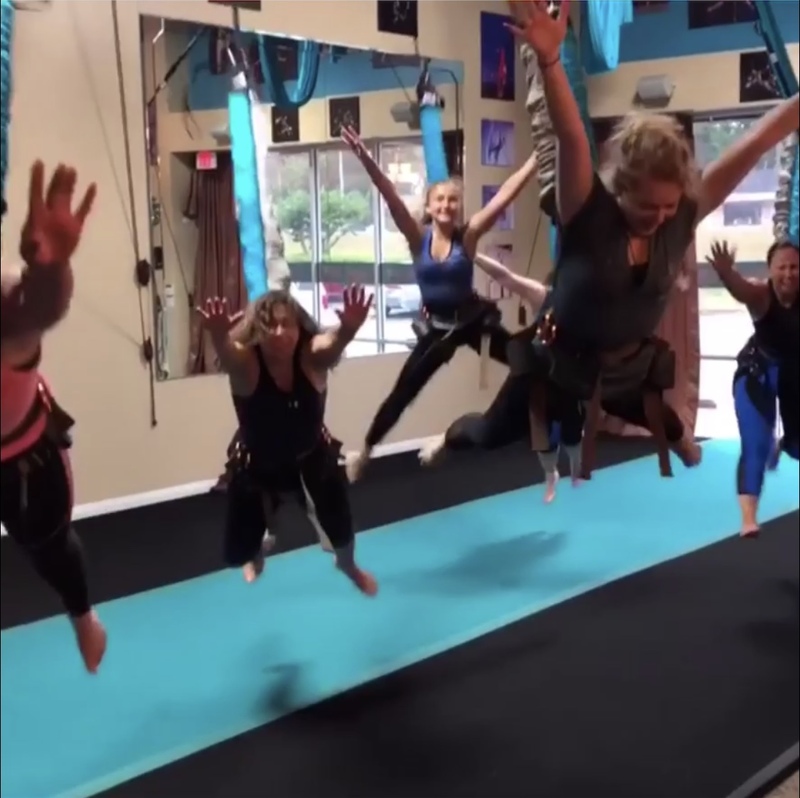 Many new students are apprehensive about their current level of fitness when it comes to aerial arts like our pole fitness or aerial silks classes. The bungee workout will help students build their strength and fitness in order to feel more comfortable trying out something new & gravity-defying. 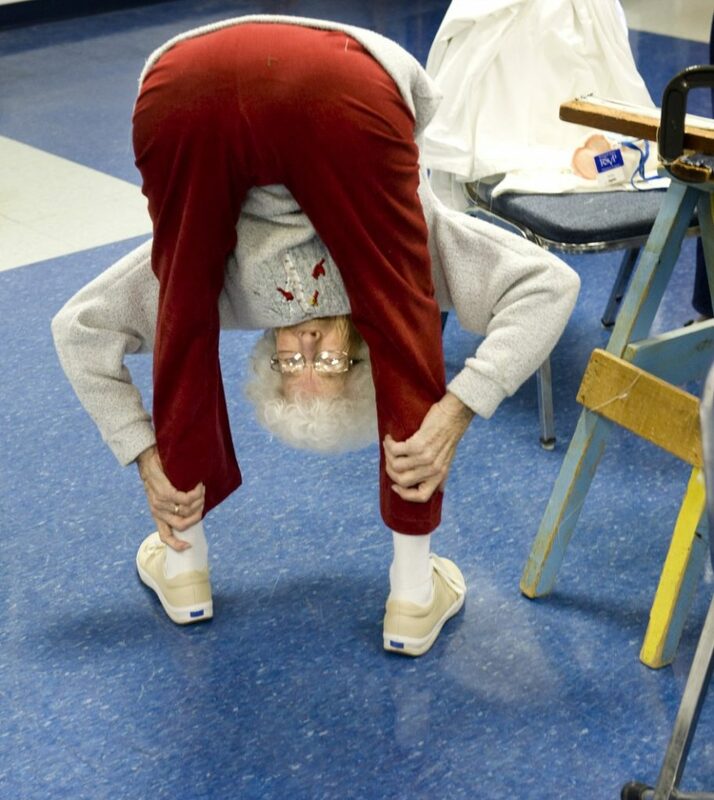 Bungee fitness is for EVERYONE. Bungee training will help you gain strength, control, and cardio to build your total body fitness. No matter your current fitness level, you will be challenged in this invigorating and fun class. The bungee attaches to a luxury, padded harness that goes around your waist and legs to keep you secure & comfortable throughout the workout. We have several different combinations of bungees to accommodate all of our students, so come in and give it a try! Bungee Fitness is a low impact, high intensity workout that can burn up to 1200 calories in just 30 minutes. This anti-gravity based training stimulates muscles with less pressure being put on the joints. Bungee exercise targets core strength horizontally in a manner that vertical training just cannot match. Bungee training is a fun alternative to an everyday strength training workout that boosts muscle power, strength, balance, & agility. We are excited to see how the bungee workout elevates our current students’ fitness foundations, as well as meeting more friendly faces that will benefit from the strength & confidence that bungee brings. Come join us in the future of fitness!